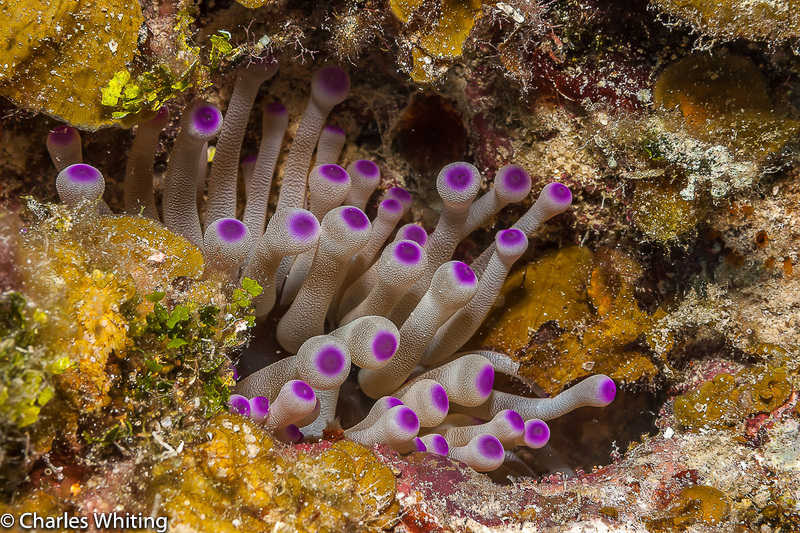 A Purple Tipped Sea Anemone peeks out from the coral head. Cay Sal Banks, Bahamas. Photo © copyright by Charles Whiting.